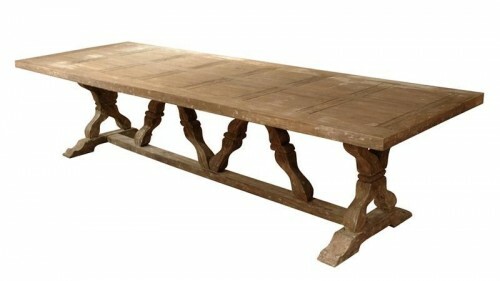 A great dining table is a staple for every home. Investing in great antiques can be exciting, especially when so many styles are within reach. A dining table is one of those pieces of furniture that is used daily, if not several times a day, so don't be afraid of throwing some money towards a great one. Modern entertaining happens around the table most of the time than any other room in the house. You want a table that you can use, not necessarily just for show. Invest in a wood table that you could re-finish years down the road. If you choose to paint, or strip it down to its raw wood appearance, you can with solid wood. This table is inspired by 19th-century French Empire design. 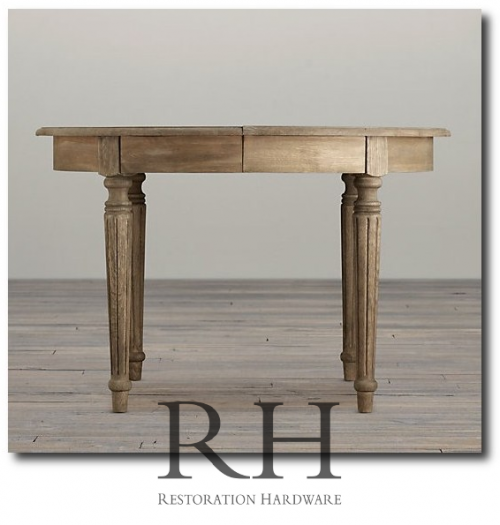 The Château Dining Table is handcrafted of solid reclaimed pine timbers from over 100 years old buldings and delivers today’s functionality with an inspired historical design, stripped down and raw finish and made from kiln dried hardwood. The overall finish is painted in a white wood wash, and retains the antique look from salvaged wood, and aged reclaimed wood timbers. original patina, and a unique shape. Measuring 50W x 29D x 29H and in great antique condition, with normal wear to the patina due to age. 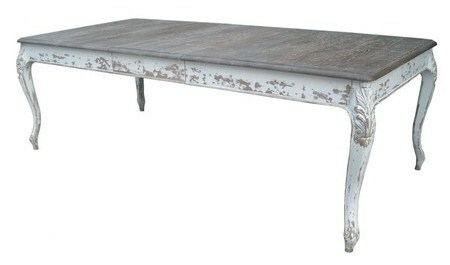 Consider this stunning Maison table available from World Bazaar Exotics on ebay, listed at $1,188 for your Swedish Gustavian styled home. This outstanding table with timeless 18th century style is crafted out of solid oak with aged finishing techniques that will surely impress you and all your guests. 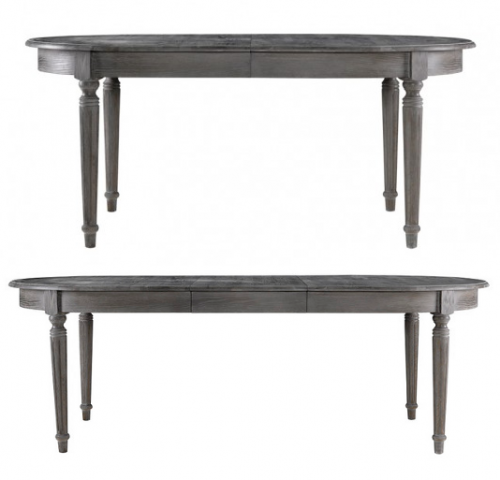 This deep grey finish will work quite perfectly in a Gustavian styled home. This table includes one 20" drop-in leaf extension. 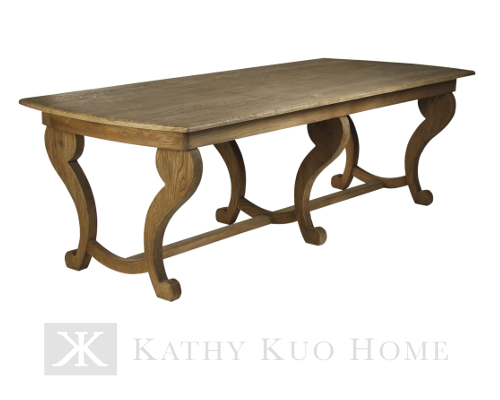 A graceful 18th century style piece reminiscent of the French country aesthetic, this generous dining table will please those devoted to beauty and simplicity. 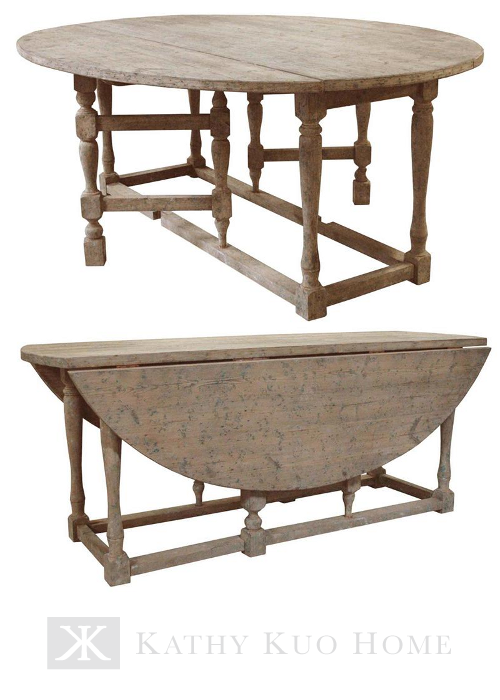 Fashioned from solid oak and elm, the rounded edges and legs create a gentle, rustic effect.